The First 75 Years of Doing Our Best is a celebration of Cub Scouting’s anniversary. 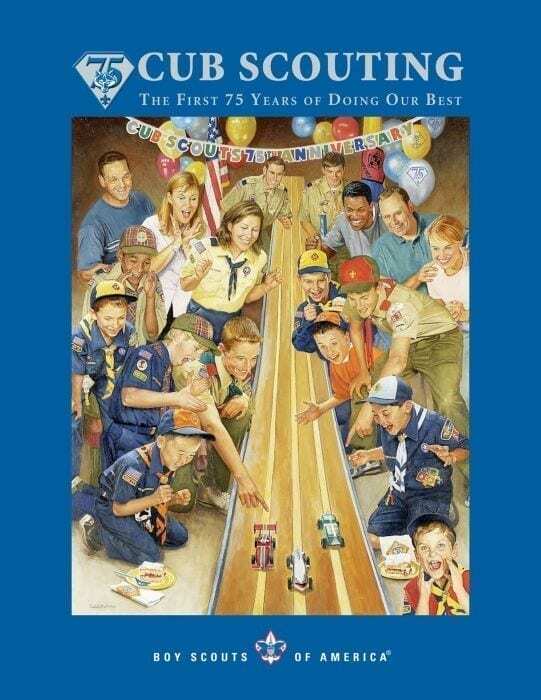 The book draws on Cub Scouting’s first 50 years as was featured in the popular 1980 book, “This History of Cub Scouting”, and continues the Cub Scout story through the 2005.This soft-cover book is filled with Cub Scout insights, photos, and priceless memories. This Limited Edition volume is a perfect gift for those who contribute to the success of the program. 136 pages, soft cover.